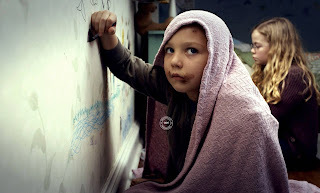 Essential plot rundown: Two lost kids pick up a ghostly follower. So, it had been a month since I've been to the movie theater and considering I had some free time in between classes, I decided to go. And this was the only movie that ended before my evening class, so I saw it. 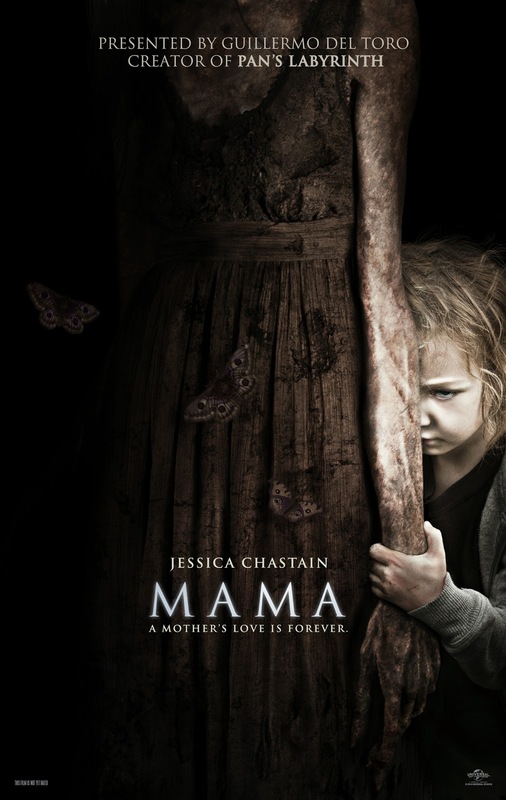 I had mixed feelings about Mama; I felt it had a lot of potential, but didn't execute properly. One of the things that bothered me was the story; it didn't flow well. Basically, what it seemed like was that they had two interesting stories and mashed them together and they didn't mash very well. Story 1 was about these girls that grew up alone in the woods, then re-entered society and had to adjust. Story 2 was about a ghost that did ghostly things. I thought each individual story was interesting and could have work on their own as individual movies; I didn't think they blended too well. Story 1 had some touching moments and I think they could have really expounded on those and made a convincing drama. And, while I don't know how original story 2 was, I was intrigued and thought it was a good ghost story. So, basically the potential was the two stories and the bad execution was putting them together. I didn't really think it was scary, either. It relies mostly on jump scares and music. Yes, there were some scary parts (the best coming straight from the short on which it was based; that gave me chills), but it didn't work for me overall. Part of the reason for this was that they showed waaaay too much of Mama. They show her right in the beginning and continued to show her throughout the whole movie. And some of the things she did looked really corny and stupid. Less is defiantly more. I also had mixed feelings about the ending. The ending, once again, shows way too much of the title character. And it didn't really make sense. So, I wasn't a fan of that. But, I did like that fact that they "went there". I don't want to spoil anything, but you'll probably know what I mean when you see it. I give them kudos for that, because it is so easy not to. And one last thing, I don't know how it took them five years to find the car. It wasn't that hidden. They must have been pretty dumb not to see it sooner. So overall, it is an ok movie. It had some good parts and merits; but it also had a lot of mistakes. It's worth checking out when you have the time but it's nothing special. But Jessica Chastain is pretty hot.